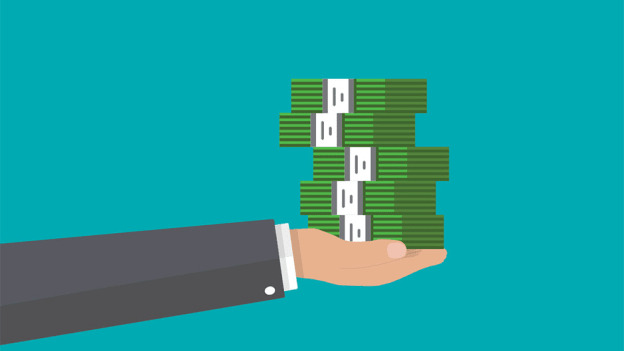 News: Michael Page’s Salary Benchmark report is out: Are you paid right? 80% of job seekers perceive the economic situation to be good, says the Michael Page Salary Benchmark report launched yesterday. As the demand for talent skilled in Big Data, Machine Learning and data science grows, here’s how the trends look for 2019. The Salary Benchmark report for 2019 by Michael Page was released yesterday. The report predicts strong hiring activity to continue (especially in the technology sector) and a general broadening of roles. He added that the injection of new funds in the private equity sector has also led to a growth in senior level hiring. Moreover, he believes that there has and will continue to be the trend of the senior talent from FMCG and banking companies moving to Ecommerce and fintech businesses with the growth of the latter industries as the opportunities for these seasoned professionals increase. The report also foretells an increase in demand for human resource, finance and legal business partnering roles as many businesses in the country try to focus on professionalizing their functions. Furthermore, while the demand for skills in Big Data, Machine Learning and data science increases, there will also be a growing demand from leaders to be agile, flexible and strategy-oriented while also developing mentorship skills. Banking and financial services: NBFCs and private banking platforms need experience in SME lending, affordable housing and senior relationship management. Global investment firms are looking out for expansion opportunities across private equity and are also focused on new products such as credit, special situations, real estate and infrastructure. Media release, healthcare and life sciences: Pharmaceutical MNCs are looking at setting up globally shared service centres to consolidate procurement. Modifications at the leadership levels indicate an increase in diversity. A 20 to 25% salary increase can be expected by employees switching jobs. Technology, digital and analytics: Increased demand for individuals with experience in new age technology such as AI, IoT, machine learning and blockchain. Technological advancement across industries has led to higher demand for analytics professionals as organizations aim to make business decisions that are data-driven. There will also be a need to fill up niche areas like computer vision, natural language processing (NLP) and speech analytics. Human resources: There is a clear need for HR partners to plan and implement strong onboarding policies with a holistic framework that includes training and induction to increase motivation, engagement and retention. The report predicts an increase in hiring activity for senior professionals within Indian organizations and startups. An average salary hike of of 15 to 18% appears to be the norm for job switches. Salary trends are cyclical since they are created out of organizational and individual decisions while also being based on market trends. At the same time though, they have the power to make organizations and individual professionals think differently, thus leading to a change. As companies and employees head on with the year, how will these predicted trends truly pan out?